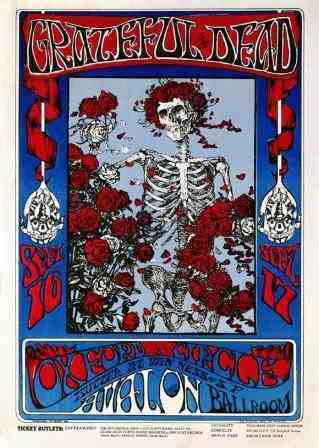 This is a beautiful reproduction of one the most sought after Grateful Dead posters. It was for their 1966 Avalon Ballroom concerts and was designed by Stanley Mouse and Alton Kelley. It measures approximately 24" x 36" and would look great framed hanging in a den or office. Nice poster I like it I have an original !! !